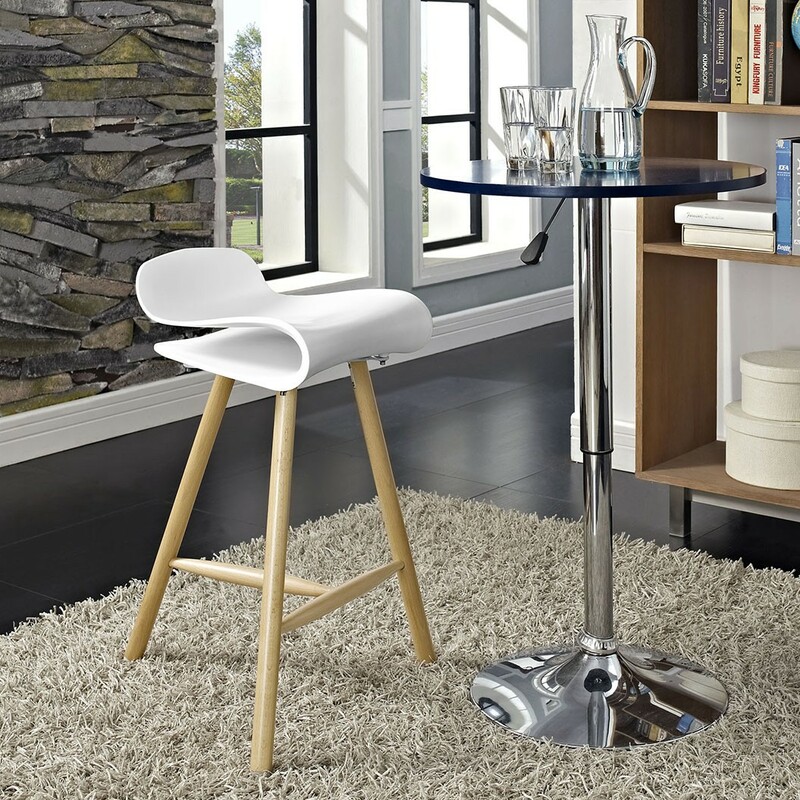 Clip counter stools are a perfect solution for contemporary styled homes and businesses like restaurants, lounges or bars. 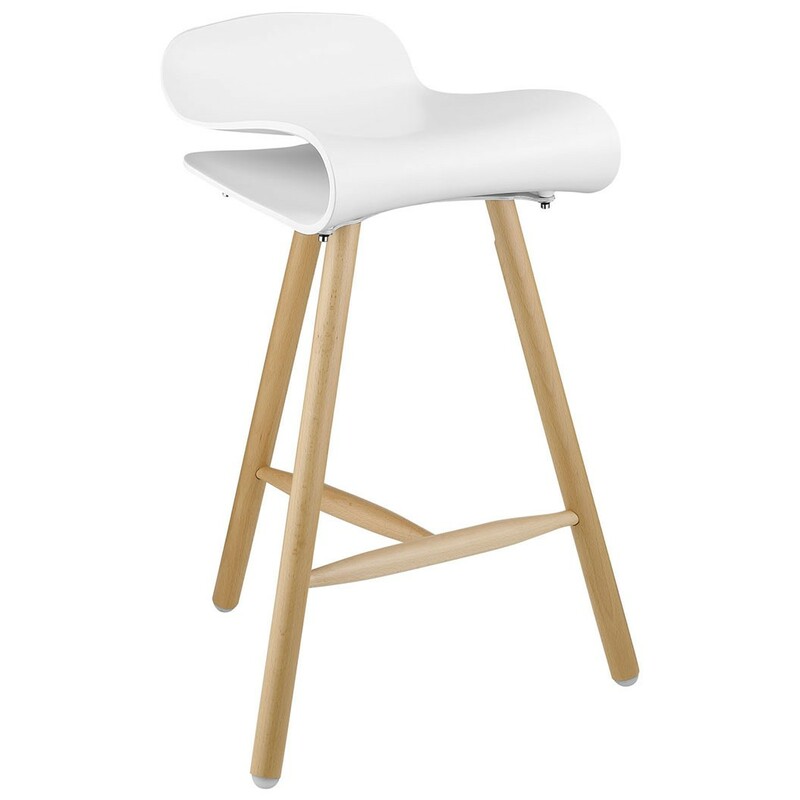 Comfortable seat is made of durable steel sheet and hard white powered coated plastic. These counter stools guarantee to serve well in a heavy use restaurant environment and will bring more luxury to any room. Seat design is made in a form of Money Clip which is a rare catch. Unique contemporary style completed by round solid wood legs in natural finish with footrest and pads to protect your floors.